One year ago next week I started TacomaStories.com and 5 Question Friday. During that year, this site has had over 30,000 visitors. People who have participated in 5 Question Friday include street poet, David Fewster, Pierce County Prosecutor and author, Mark Lindquist, The Voice contestant, Vicci Martinez, and the Mayor of Tacoma herself, Marilyn Strickland. But it all started with 5 questions for Ken Thoburn, co-owner of a ‘nano-brewery’ called Wingman Brewers. At the time, they hadn’t even released their first beer. I decided there was no better way to end the first year of 5 Question Friday than to catch up with Ken Thoburn and see how he and his brewery are doing. 1. 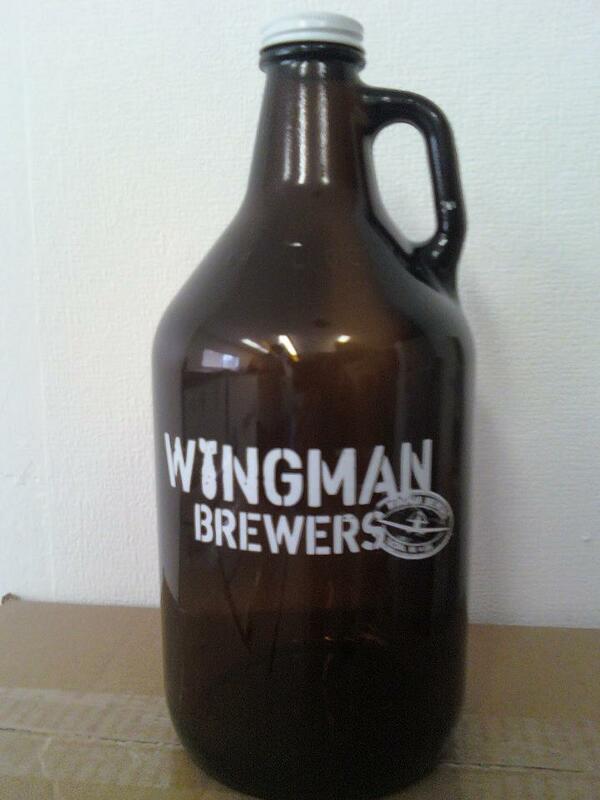 How has Wingman Brewers changed in the last year? Over the course of the last year we’ve spent most of the time getting our bearings. None of us had worked professionally for a brewery before we opened our own so there has been a lot to learn as we’ve negotiated the industry. We are constantly growing, adapting and trying to give our customers the best beer we can. We still have so much to learn on every front so we’re very thankful for the awesome supporters we have. 2. What is your favorite brew you’ve made so far? Stratofortress is a Belgian Specialty Ale. I originally made it as a one time thing but it was so good I had to make it again and again. People have responded to it in the same way clamoring for it everywhere so we’re really happy with the response. The beer itself is huge at 11.4% ABV and we age it on rum soaked cedar planks. The spiciness of the dark rum and the spiciness of the esters present in the beer play extremely well together. The added complexity that the cedar brings to the fruitiness of the malt background makes the beer one of the best out there in our opinion. It’s wild to us that Stratofortress has such a great reputation after we’ve only released 5 barrels of it in the last 3 months. We’re very excited to continue making Stratofortress and to continue making more unique beers like it in the future. 3. What was the most surprising thing that’s happened to Wingman in the last year? The rate of growth and the demand for our beer really surprised us. We’ve had to be really careful about expanding our client list at all because we have trouble keeping up with the clients we have. We thought it would take multiple years before we got to this point but the industry moves fast and people want their beer. Coming up on our 1 year anniversary here in April we’re very excited to be expanding and hopefully we’ll be able to bring our beer to 10 times the amount of people who tried it over the last 12 months. 4. What have you not yet been able to accomplish that you’d like to? We can’t make enough beer. I wish I had the beer and the time to deliver it to all the people that want it. Coming from a customer service background it’s hard not to be able to give people what they want. It’s also hard being a small business owner and wanting to grow but not having the resources or time to grow as fast as you want to. Everything takes time. 5. What’s next for Wingman Brewers? There are a ton of nexts for us in the coming months. We’re hoping to open in our new location toward the end of April. We’re moving our brewing operation down there so we can expand it. We’re going to have a taproom so folks can fill growlers and drink pints 3 days a week as well. That’s the news for April, but in May we’re going to start putting our beer in cans so we’ll be in places all over Tacoma in 16oz cans. From there the next jump will be the biggest we’ve made so far since we will have to pony up and buy a larger brewing system and all the accouterment. This entry was posted in 5 Question Fridays, Tacoma stuff and tagged 5 Question Friday, Jack Cameron, Ken Thoburn, Tacoma Beer, Wingman Brewers. Bookmark the permalink.